Sleeping packs are a bit of an elusive creature to me. I like the idea of them, but I have a hard time finding ones that fit my skin type and needs, without clogging my pores. 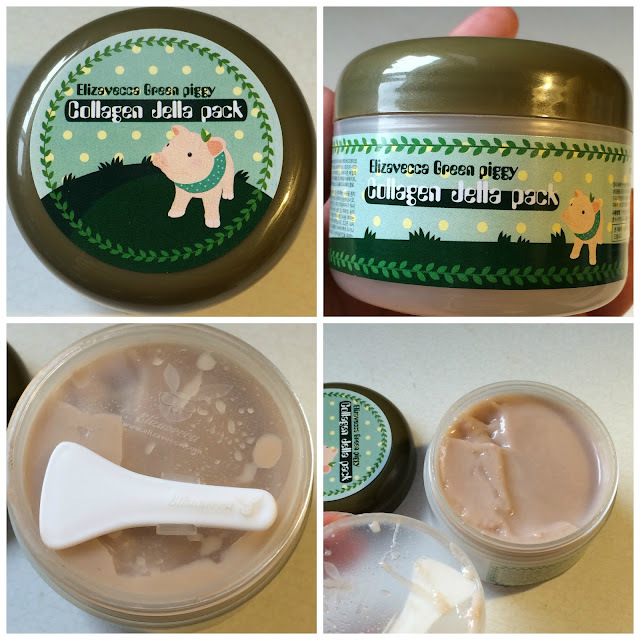 Purpose: The Green Piggy Collagen Jella Pack is supposed to absorb easily into the skin with the help of collagen peptides, which renew vitality within the skin. This pack is supposed to improve wrinkles and fine lines with the help of the ingredient adenosine. To Use: This pack can be used in the evening as the last layer in your skincare routine, or as a wash-off pack after 10-20 minutes of a thick layer absorbing into your skin. Ingredients: Hydrolyzed collagen, Water, Dipropylene glycol, PEG-240/HDI Copolymer Bis-Decyltetradeceth-20 Ether, Glycerin, Glyceryl Stearate & PEG-100 Stearate, Caprylic/Capric Triglyceride, Macadamia Ternifolia Seed Oil, Dimethicone, Caprylyl Glycol/glycerin/polyacrylic Acid Copolymer, Sodium Hyaluronate, Theobroma Cacao Extract, Tocopheryl Acetate, Polyglutamic Acid, Bacillus/ Soybean Ferment Extract, Adenosine, Disodium EDTA, Fragrance. Cosdna & Notable Ingredients: The Cosdna analysis for this product is pretty good! There is one low potential acne trigger, Dimethecone (1/5), which is in the middle of the ingredients list. No potential sensitive skin irritants - but please remember that everyone reacts to ingredients differently. 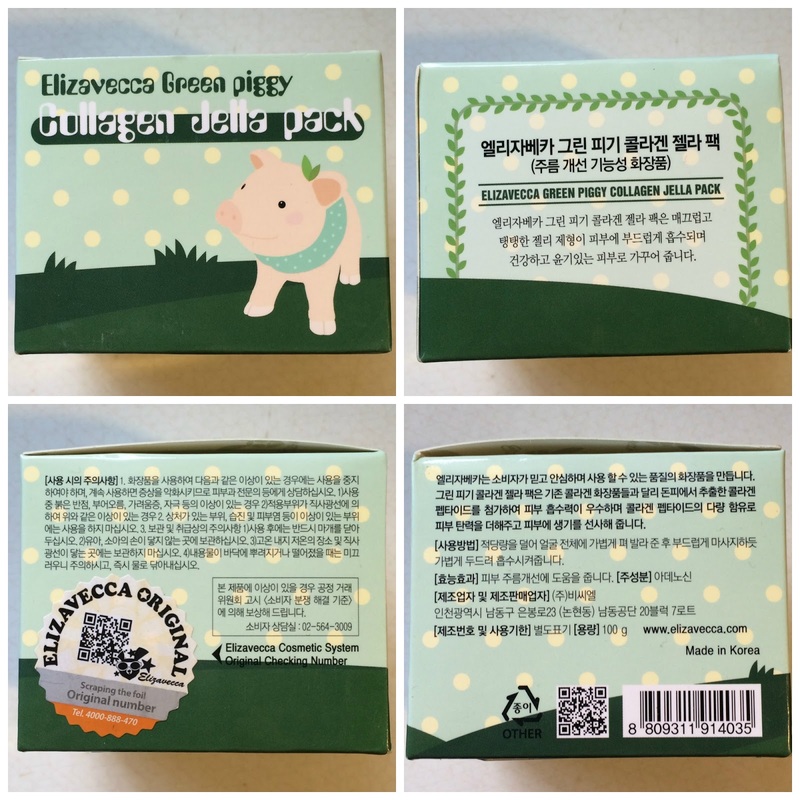 Packaging: If you're familiar with other Elizavecca products, you'll recognize the tub this pack is in. The tub is insulated (there is an air layer between the outside layer of plastic and the packaging that's touching the product itself. This product also has a double lid, meaning there is an inner lid (which holds the included spatula) and an outer lid which closes the tub. The tub comes housed inside a box when it arrives new. Performance: The thing that stands out most about this product - which is pointed out in the name - is the Jelly-like texture and consistency. The jelly will always be flat when you open the tub, because the high amount of pig collagen allows this product to always return to form (left of photo below). 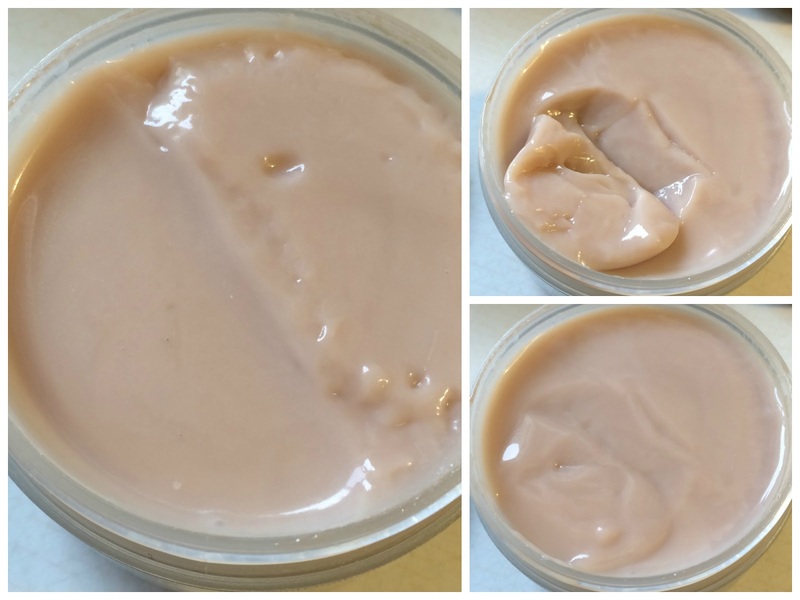 As you can see below, after you remove a scoop of product (top right) the product settles back smooth within a matter of seconds (bottom right). This pack feels like a smooth non-sticky jelly, and melts into the skin easily and quickly. 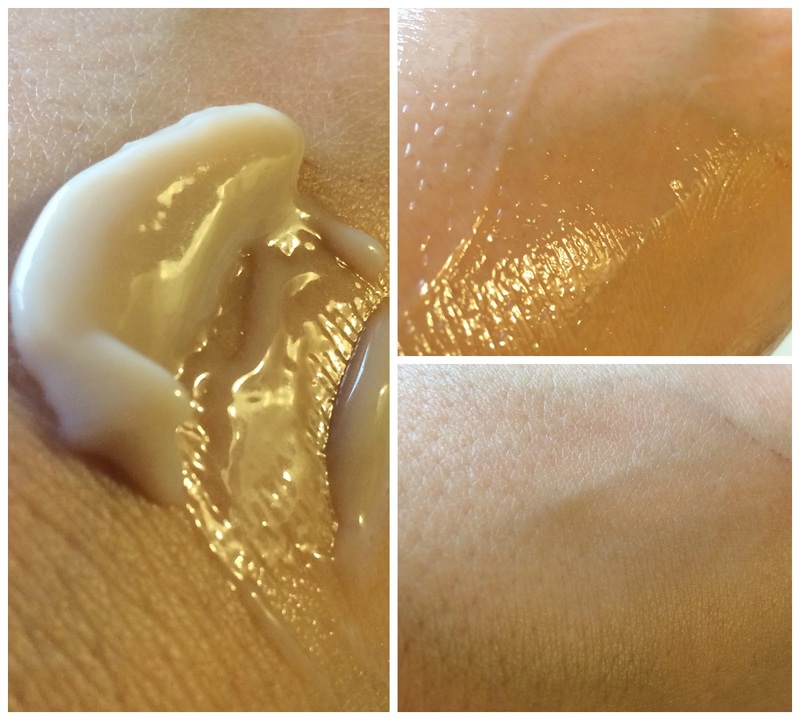 After it's absorbed it leaves the skin feeling smooth, soft, plump, and hydrated. I would recommend this product for all skin types, but of course I recommend patch-testing first just in case.